Two specific networks I consumed were CNN and NPR. Immediately following Dr. Christine Ford’s testimony, various commentators expressed how “moved” they were by Ford’s testimony and unequivocal thirty-six-year-old recollection of her attacker. They expressed concern about future generations watching the proceedings. They believe they will be haunted by Ford’s account of her attacker’s laughter. One NPR pundit said that Ford had “set a high bar” for Judge Kavanaugh. I suppose he forgot that in America – unlike banana republics – we rely on evidence and corroborating witnesses before depriving a person of their Constitutionally recognized right to “life, liberty and the pursuit of happiness.” Those two things were not only lacking in this hearing, they were completely absent. 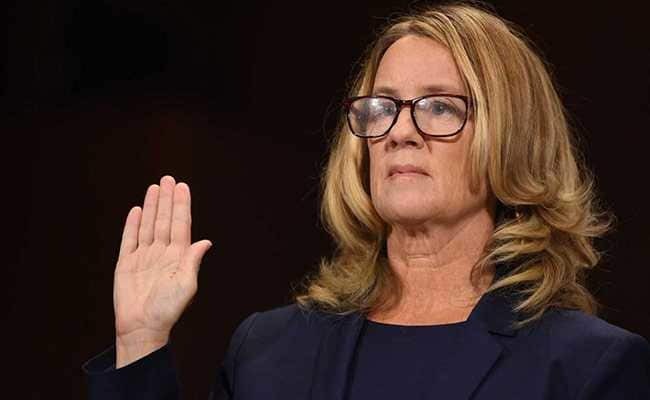 Even the witnesses that Ford herself named, denied remembering any such gathering – much less an attack. Sure enough, many of these same pundits had the wind knocked out of them in the afternoon when Judge Kavanaugh gave his impassioned opening statement which denied the accusations every bit as unequivocally as Ford as made them. Kavanaugh informed the panel of the painful nightmare his family has suffered because of the unproven allegations. The Judge pointed out that he has been investigated by the FBI six times since the alleged incident without anything remotely similar being raised. He reminded us how several members of the opposition had made public statements defaming him and promising to do everything they could to destroy him BEFORE the accusations were even made. The Judge then let the committee know, in no uncertain terms, that the circus could have been avoided had they quietly turned the allegations over to the FBI forty-five days earlier when they first learned about them. This one act would have been better for Ford and her family, better for Kavanaugh and his family and better for all of America. In fact, the only people it would not have been better for are those seeking power through the personal destruction of individuals with whom they are not politically aligned. By the time he was done, anyone who was not ideologically and politically motivated was forced to admit that adequate evidence of the alleged crime did not exist, and that political motivations were most certainly underlying at least some of the recent events. Solomon was right. When Ford presented her case, it was difficult not to be moved by her story. However, when Judge Kavanaugh forced those statements to be examined in a different light, the initial certainty disappeared. All honest people were forced to admit that at the very least, they couldn’t be sure. This current free-for-all serves as an excellent object lesson for all of us. We need to be very careful about buying hook, line and sinker into the first story we hear. Sure, it sounds credible, and the person telling us may very well believe everything they are saying. We also need to be careful that we don’t have our own personal motivations that incline us to believe what we are hearing without a fair examination of the facts. Previous PostPrevious Kavanaugh & Ford: Truthful Fiction? Next PostNext It Doesn’t Matter What You Think!